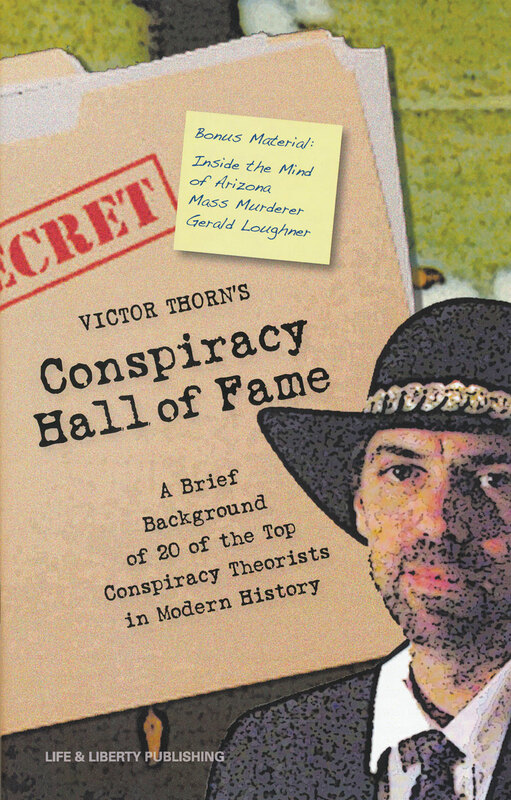 Conspiracy Hall of Fame: In his intriguing Conspiracy Hall of Fame, Victor Thorn opens the windows on 20 of the top conspiracy theorists in history. Texe Marrs is honored to be one of them, and you will also find George Orwell, William Cooper, Antony Sutton, Michael Collins Piper, Gary Allen, Des Griffin, Eustace Mullins, Gary Allen, Michael Hoffman, William Guy Carr—and more. Victor Thorn, compilator of this fascinating report, is himself a distinguished conspiracy researcher, as his many books prove, including the stunning, just released New World Order Assassins.